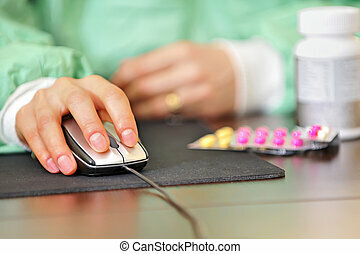 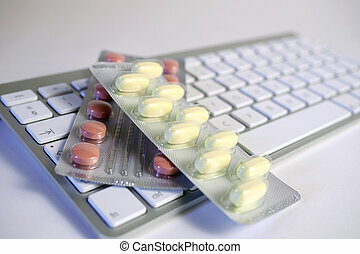 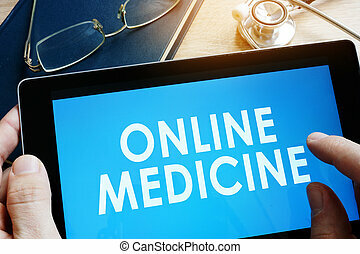 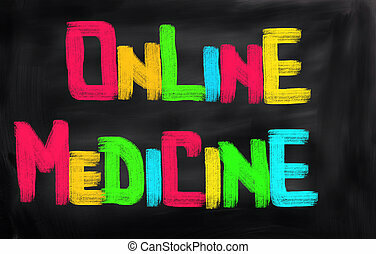 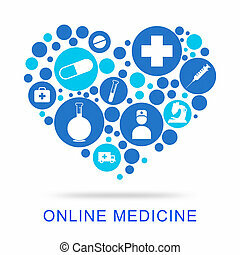 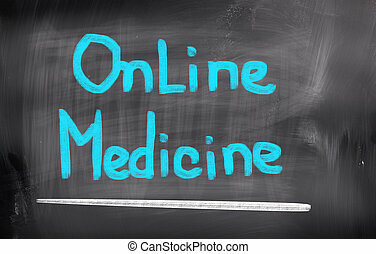 Online medicine. 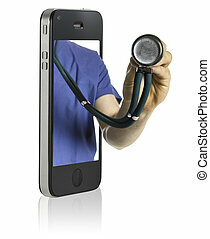 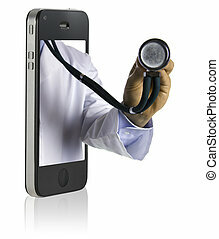 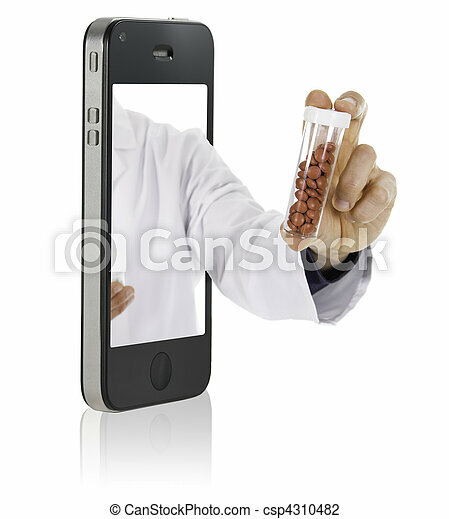 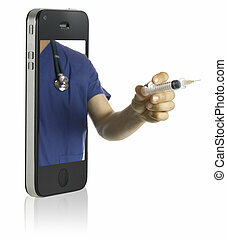 Mobile phone to web pharmacy and medical docotor. 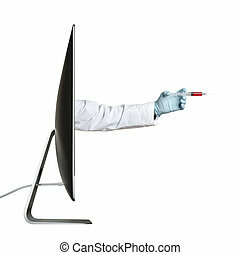 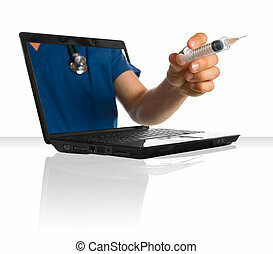 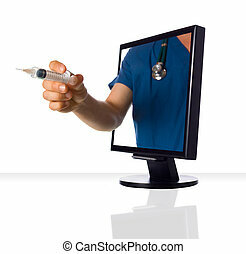 Hand holding syringe, extending out from a computer screen. 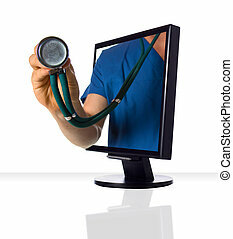 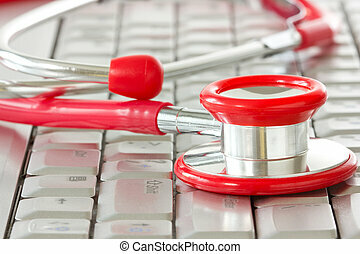 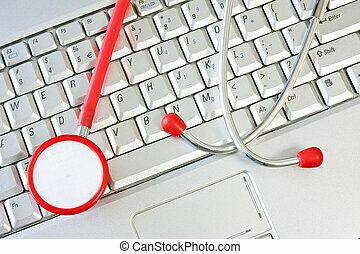 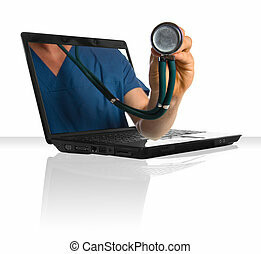 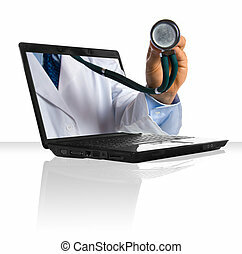 Online medicine and IT support . 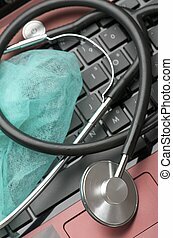 Computer keyboard with a red stethoscope. 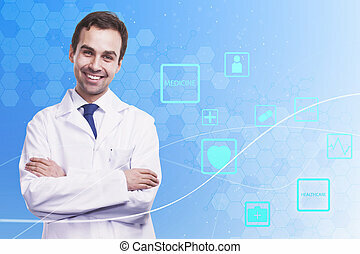 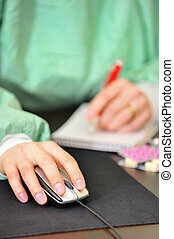 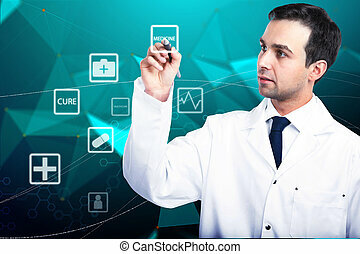 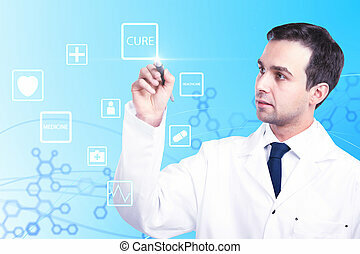 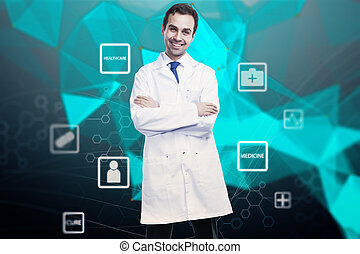 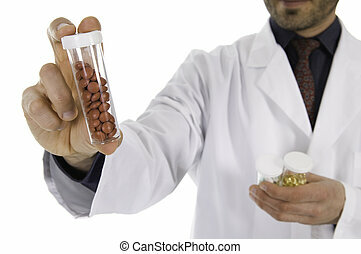 Doctor holding tablet with words online medicine.